Former advisor to President Trump Roger Stone settled a $100 million defamation lawsuit on Monday, forcing him to apologize for publishing false information on InfoWars’ website. Does that count as fake news, or is that just for liberals? Per HuffPo, Chinese businessman Guo Wengui put this lawsuit into motion when he discovered Stone had falsely implicated him in financial crimes for his 2016 donations to Hillary Clinton. Stone is now paying in other ways. The settlement agreement forces him to publish retractions of his statements via his social media, The WSJ, The New York Times and The Washington Post. Special counsel Robert Mueller is keeping an eye on Stone, too. 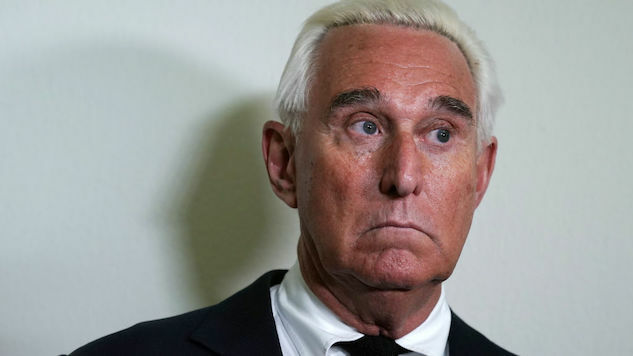 According to a statement from his office on Monday, Stone got his information from Sam Nunberg, another member of Trump’s 2016 campaign. The special counsel’s probe may be suspicious of how this story connects to Russia’s misinformation campaign, as The WSJ notes. At the time of this writing, it appears Stone has yet to apologize on social media. 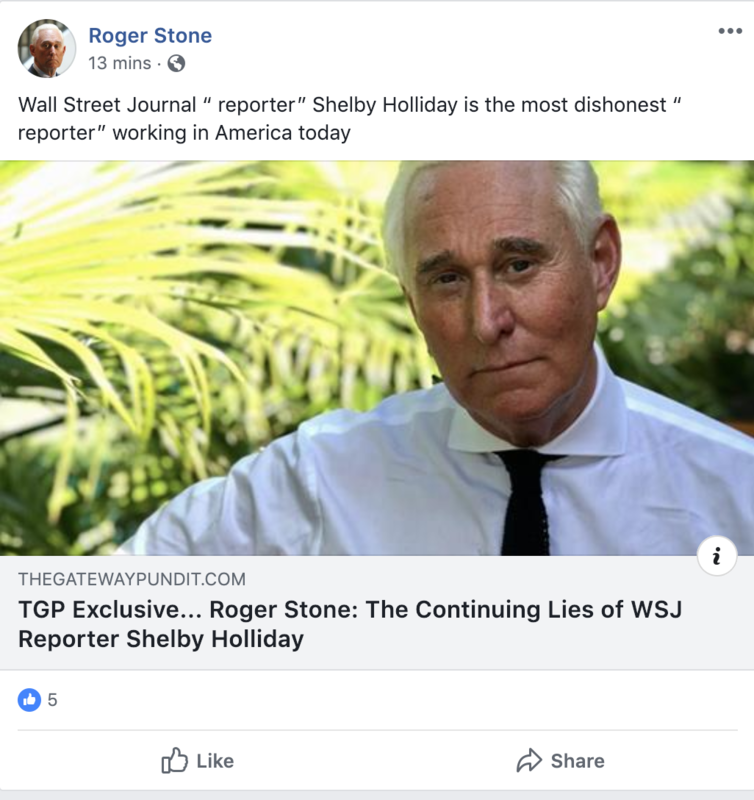 Instead, on his Facebook page, he’s linked to an article he wrote himself claiming to address “The Continuing Lies of WSJ Reporter Shelby Holliday.” Holliday is one of the reporters who broke this story, proving that you can’t teach an old dog new tricks.